A doctor png made in a cartoon style of vector shapes. These images are perfect for medical designs and it also contains Ai, PDF, EPS and PNG files. This realistic set includes 112 high-quality poses. There are dozens of doctor poses on a medical theme, as well as many poses conveying different emotions and presentational concepts. 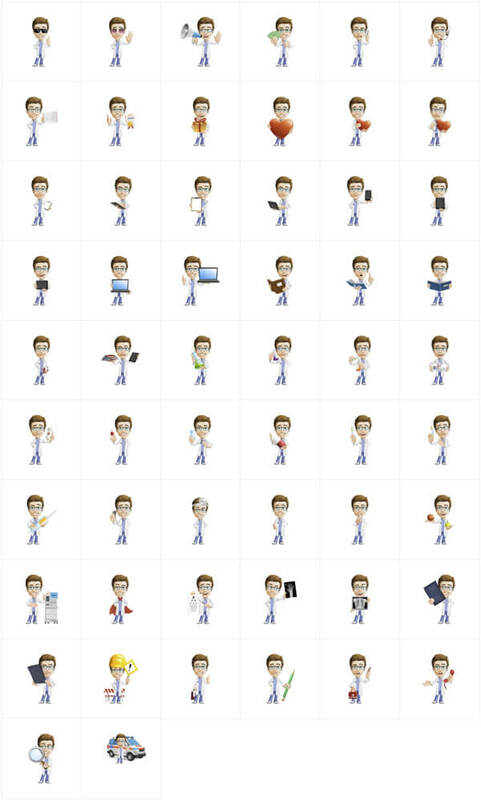 All of these 112 poses are available in png images for your convenience if you are not familiar with the vector formats.